Weddings are a big deal, although it does not always happen it is planned as a once in a life time thing and often no costs are spared. Besides the high costs weddings are often also not friendly for our planet, there are a lot of aspects that can make a wedding eco friendlier and even cheaper because of it. I am planning to write a few blogposts about this and am starting today with the flowers. Flowers are often used as centerpieces on each table, bouquets for the brides, bridesmaids and flower girls, and as decoration. Unfortunately most flowers available at flower shops have a very big carbon footprint, which is especially sad as all these flowers will be seen for one day and than end up in the trash. I myself have never liked flowers as they die quickly, I much prefer a pot with a nice plant which I can enjoy for many years, this idea can also be kept in thought while planning a wedding. But even though seasonal and local flowers are a much better eco option, they still will die, so I love the idea of plants, especially succulent plants. They are beautiful, don't need much water and can handle a day easily as a bouquet. You can also have little pots with succulents as wedding favors and the center pieces will look great in your home and friends homes for many years, even your bouquet could be planted as succulents can propagate with only the leaves. 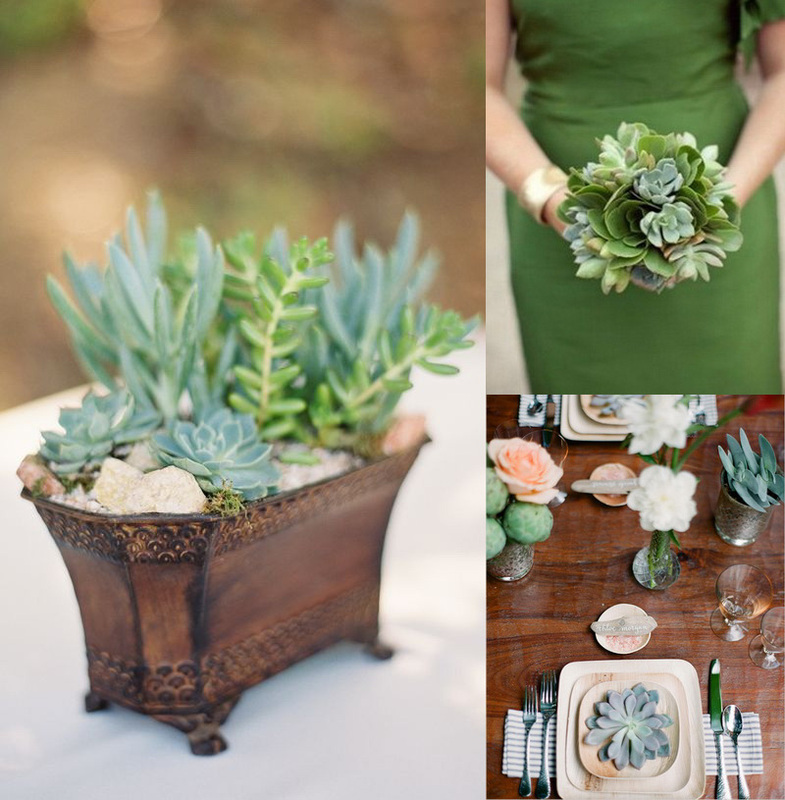 If you are not convinced yet, check out these 70 succulent plant wedding project at dearpearlflowers! Paper flowers and decorations are also a great option, recycled paper of course like magazine leaves or newspaper, later they can all go in the recycle bin. Maps could be used for the travelers or music sheets for musicians. Checkout at idoityourself for how to make such a bouquet yourself. Center pieces are where most flowers are used for, instead of flowers other objects can be used too, no need to go traditional. 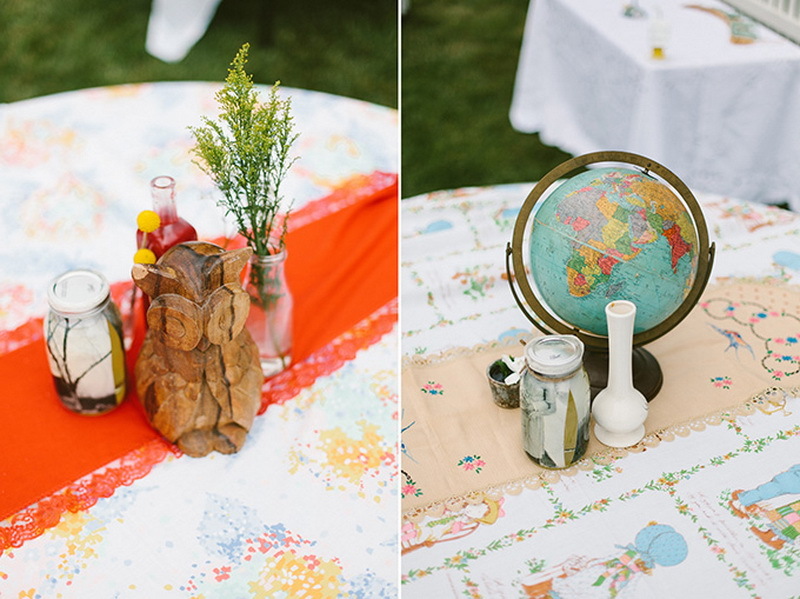 Love the idea of this backyard wedding from glamourandgrace where the bride and groom created center pieces with arrangements of beloved personal objects from their own home, their parents, and friends. No waste, no costs! There are many more alternatives like fabric flowers made of upcycled fabric, pinecones are also great for bouquets and decorations, the amount of flowers can be reduced by using a lot of alternatives for decoration. And of course we make bouquets too! Ours are made with beach findings like sea urchins and shells, vintage fabrics and brooches and lots of love :) If you are in the middle of planning your wedding I hope you have come up with more eco friendly solutions for the flowers. I will be writing more posts for eco friendly solutions for wedding related things. 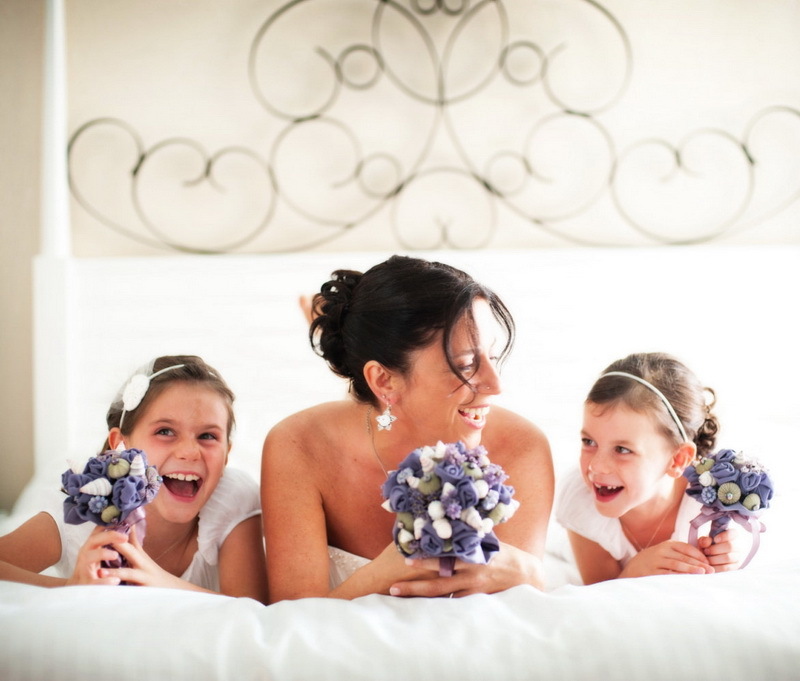 Amazing bouquets!!! Especially the last one! Read about a couple a while back who started to grow their own flowers to be used in their own garden, a year before the wedding, I thought that was very cool. For the rest I'm like you, I rather give a potted plant then flowers to my beloved. Had the best present ever from my younger brother this year, a huge pack of all different flower seeds, I was very pleasantly surprised! Great ideas! I love them all, but beach finding bouquet is the most adorable one to me! 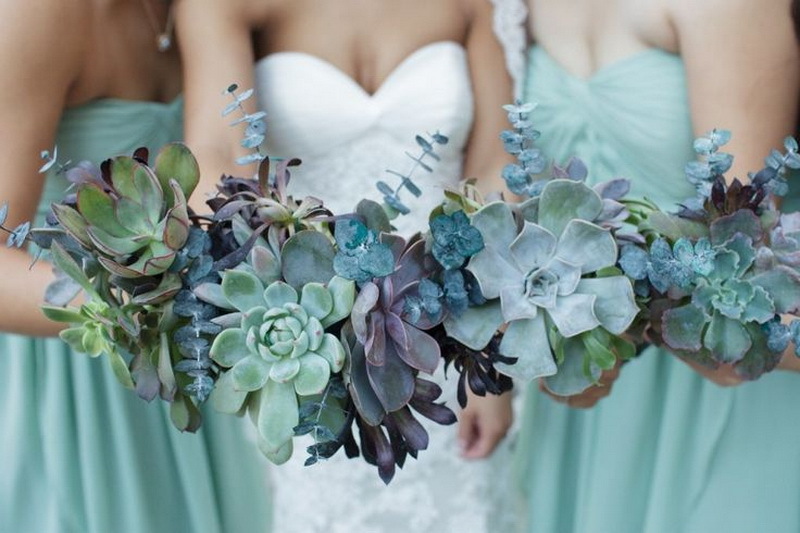 Your bouquet is perfect for a mermaid wedding...and the succulent one is such an original idea too. That being said, I am always completely baffled by the amount of time and money people are willing to spend on a wedding. 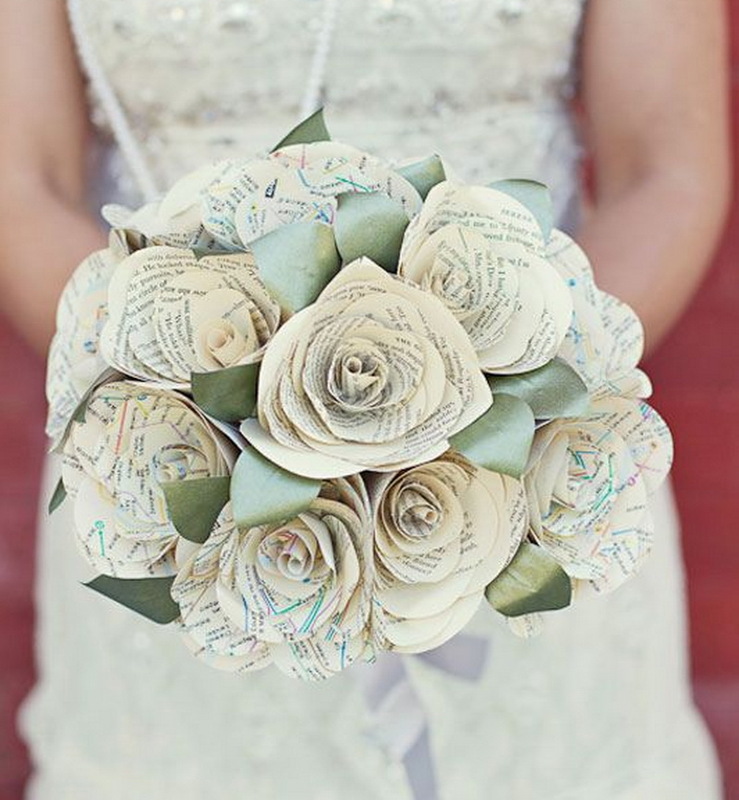 Love all the photos and of course I love your unconventional and amazing bouquet! Your bouquet is so lovely! Like the succulents too. 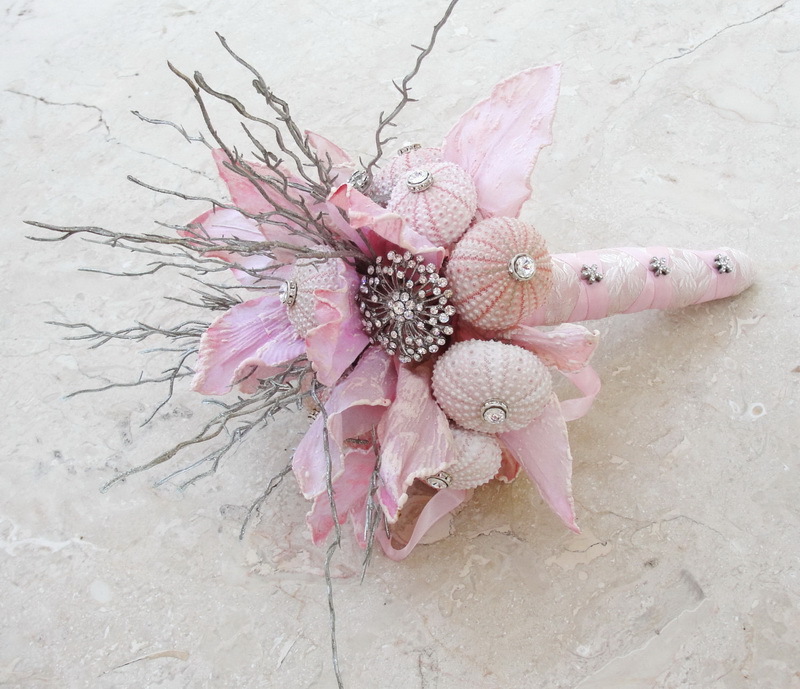 Your beach finds wedding bouquet are amazing and original. They are great for beach themed weddings. I also love the succulent plant bouquets and table decors which can also be associated with beach themed weddings too - we have lots of succulent plants along the beaches here and their flowers have very vivid colors. And I also like the idea of the combination of using seashells and succulent plants as decorations at the same wedding. So many nice arrangements, but your buquet is the best. I love the succulent idea too.